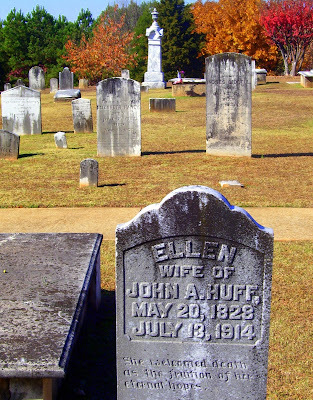 Mrs. Huff was laid to rest in Fairview Presbyterian Church Cemetery at Lawrenceville, Gwinnett County, Georgia. 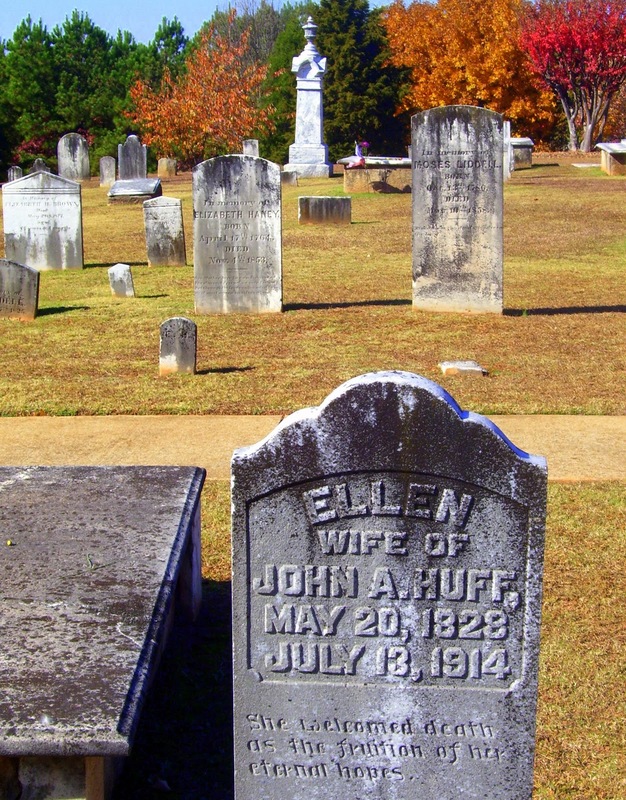 She lies near her husband, John A. Huff (1821-1904). 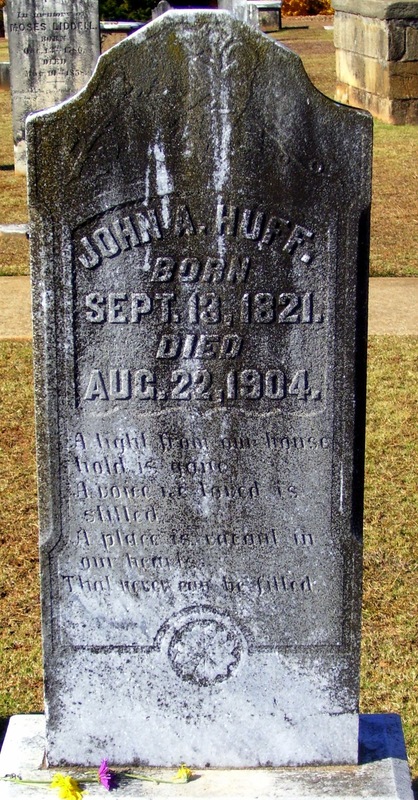 Mr. Huff was a half-brother to Ross R. Huff, the subject of yesterday's post. Photos © 2010/1 S. Lincecum.